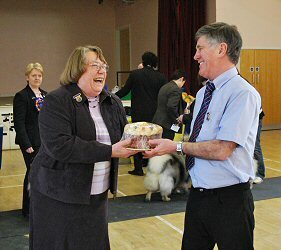 Secretary Ruth Burgess presenting the combs kindly donated by Mr Glyn Maycock. These combs, engraved with the puppy’s name, are given to commemorate a puppy’s first Club Show. Thank you for your surprise invitation and hospitality. 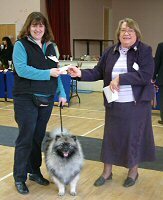 I took great pleasure in taking part in your show, and mixing with your up and coming custodians of this beautiful breed. 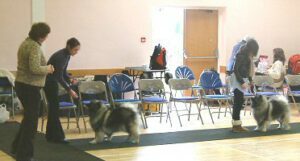 Overall dogs were well groomed and presented. 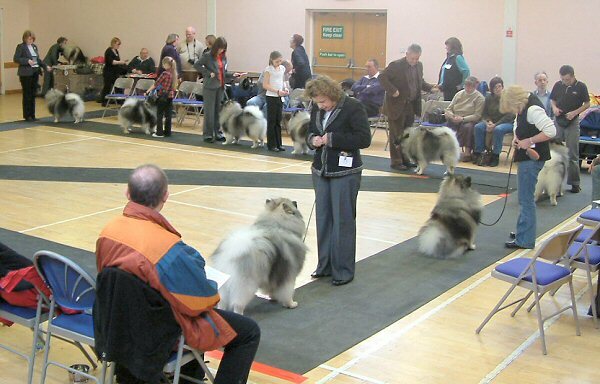 As I was judging the handlers I was concentration on handlers not dogs. 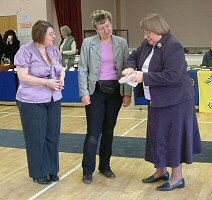 My winner kept an eye on the judge most of the time. She also encouraged her dog by talking to it as she moved around the ring. Overall Winner was Charlotte Craig from the 6-11years group. She seemed to pick up handling very quickly, listening to my instructions and carrying them out very well. 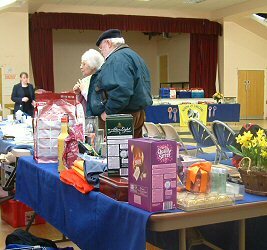 Many thanks to the committee for a relaxed & well run show & to my 2 excellent stewards for their excellent work. Apologies for the lateness of this critique. 1ST : WOOLSEY’S FLATMEER FLUTTERRING. Exc coat & tail and topline. Sound mover just needs a little more practice. Ears a shade low. 1ST : DAY’S ALLFORUS DICE MASTER FOR SPITZCAV JW ShCM. Exc outline & balance. Good head, eye, ears, tail & coat. Exc topline. Compact body could be tidier on the move up and down. 1ST : POTTS’ DESAKEES MOONLIGHT. Nice size & substance. good colour, well handled & beautifully presented. Would prefer a shade shorter in body. 1ST : ROSES’S VALINDALE RUM PUNCH FOR ESORKEES. 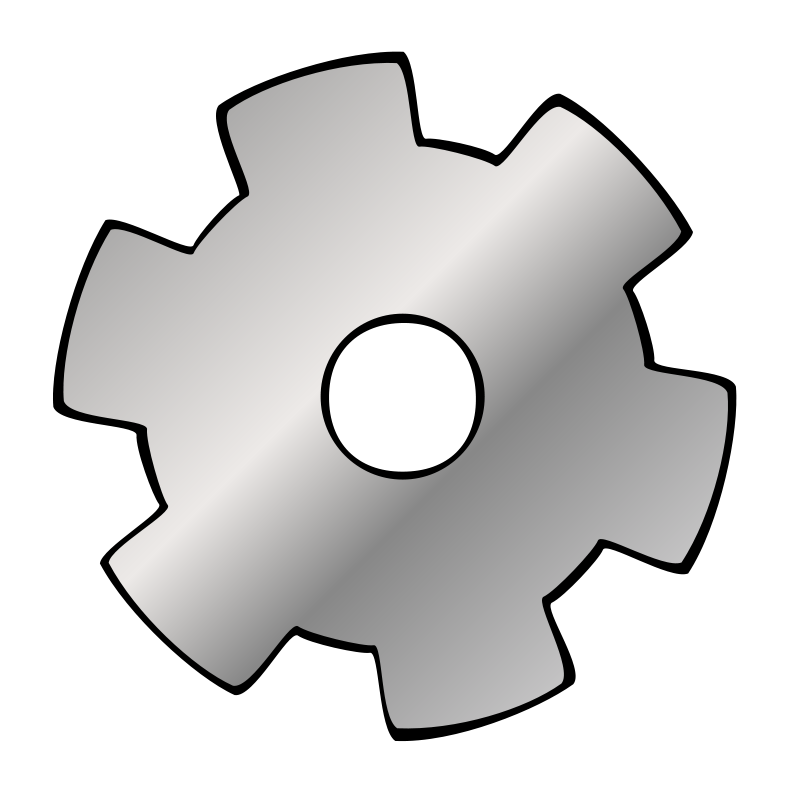 Square outline with OK head. Good ears, topline, tail & coat. Moved well. 1ST : HICKSON’S CH KICHIGAI GREAT PRETENDER JW ShCM. Nice type dog. Balanced with good head shape topline, tail & coat. Moved well in profile with strong rear. B.Dog & BOS. 1ST : BARTON’S STRATUS THE ENCHANTRESS AT COLLCRIST. Very pretty with fem expression. Balanced & moderate with good topline. Sound mover. 1ST : BRUNT’S ZANDVOORT WHAT’S IN A DREAM. Beautiful head, eye & ear. Excellent outline. Tail a shade low. Moves very well. 1ST : JAINES & BATES’ ALLFORUS BORN FOR ICE. Active & alert. Brisk movement in profile. Would prefer more substance. Lovely clean outline, OK coat, good tail. Lovely head & expression. 1ST : ATKINSON’S ALLFORUS DICE WITH ME AT WINKLESTAR. Nice type. Fem with substance. Attractive head & eye. Good coat. Strong topline & rear. Good depth. 1ST : BELL’S CH ALLFORUS MAGIC ‘N’ ICE JW ShCM. Sturdy compact, exc outline. OK head. Good ear & tail. sound mover. 1ST : PATTISON’S EASTKEES SECRET COMBINATION. Profuse coat. sound mover, good topline & tail with good body proportions & outline. 1ST : STUBBINGS’ VANDERSEE AUTUMNAL MIST. Nice size & substance. Feminine head good expression & ears. Exc tail.